Long time readers will have heard this all before, here it is in video. Stick around to the end for epic goofiness. Hi, everyone. Welcome to the third and final video in the skincare series. Today, I'm going to be chatting to you about my favorite exfoliants and pimple pumping apparently. If you missed my morning and evening staples videos, I will link those here and also in the description box below. Do go watch that. Now I'm going to quickly adjust the fact that I'm not wearing any makeup. If you follow me on Instagram or you read my blog – hey, I like you – you will know that I had eye surgery recently, and I have strict orders from the doctor not to wear any makeup. Hopefully, you don't find that that distracting. I think it's kind of in there [lessons of] skin care but let's begin. Let's start with exfoliants. I am an exfoliant fanatic. They provide so many benefits for the skin. They treat congestion, uneven texture, the first signs of aging. They brighten the skin. They're the closest thing to miracle workers really. That being said, I'm anti scrub. You know the gritty kind that have lodge jagged edges, they cause little tears in the skin and negate the benefits of exfoliating in my opinion. However I love chemical exfoliants. They sound scary but in short, acids or enzymes dissolved away the very top layer of skin to reveal a brighter complexion. If I were to pick one product, one skin care product that changed my life – that's a little bit a strong sentiment towards skin care – it would be this. The Make Up Artist Choice Mandelic Acid Peel. Now I should put a little disclaimer here. Make Up Artist Choice is an online e-tailer and they sell some seriously strong professional great peel so approach it with caution, patch tests, you know the drill. That being said, Mandelic is definitely on the gentle side of the spectrum. It tends to be gentle than say lactic or Glycolic for your skin care box out there. I use the peel about once a month. I'll take a q-tip, dip it in a solution and run the q-tip all over my face. Using a q-tip works better than patting it on with my fingers. No idea why. Just one of life's mysteries. I would then wait three minutes and thoroughly cleanse the solution off, three minute max no longer than that. I know the question on your lips, “Does it burn?” This will obviously depend on your skin type but for me, it doesn't really burn. I just have very slight warming sensation and despite the name peel, I generally don't peel on this. I've been particularly cheeky and I've over applied. Overall, I think that the Mandelic Acid Peel would be suitable for dry and oily skin types. But if you are particularly sensitive or you do not tolerate chemical peels then I would recommend something like the Ren-Glycolactic that works on an enzyme basis so similar concept. It's still a chemical exfoliant that is quite dilute. So overall Mandelic Acid Peel perhaps my favorite skincare product of all time, it's like I'm working out with completely new fresh bright skin. High five, Make Up Artist Choice. The next exfoliant that I love also works on a chemical basis. This is the Stridex Maximum Strength Pads. And I used this about once a week between my monthly peels to maintain bright skin. The main ingredient in this product is Salicylic Acid and that is oil soluble, so this mean it's really good for oily skin types who are looking to treat cloggy and congested skin. Now the first time I used this, I recall being quite unimpressed. I thought they were kind of irritating and I wasn't blown away. And then I discovered this fantastic video by Josh Collier, makeup artist. I will link his channel in the description box below. Definitely check him out. And he offered a great tip. He suggested rinsing the solution off after five minutes. And wow, my mind was boggle. I love this pads now. By rinsing off the solution after five minutes, you get all the benefits of the exfoliation without the irritation. I found that the Stridex Pads had made my skin clearer, smoother, no flakiness, no congestion. I consider this like baby steps to better skin whereas the Mandelic Acid Peel is like jumping into a pool of exfoliation. 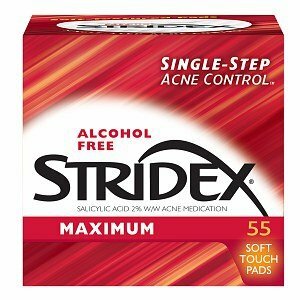 So all in all, the Stridex Pads are geared more towards oilier skin types but I'm not oily and they work wonders for me. They're also super affordable. They're a few dollars in the US which is a total rarity on my channel I know. Unfortunately, Australians out there, you're going to buy this on eBay. That's where I purchased it. Thank you again, Josh Collier, for your wonderful tip. Carrying on from exfoliants, another thing that I wanted to address is blemishes. It happens to the best of us. Now when I was younger, I recall getting a blemish and thinking kill it with acid and benzoyl peroxide and fire. But nowadays, touch wood, I don't get too many blemishes and I have a slightly different approach. If we think of the blemish as an abrasion of the skin, it would make sense that trying our harshest chemical at it would actually hinder the healing process and possibly call scaring. 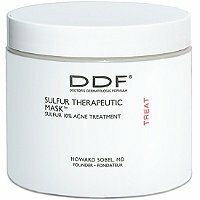 So the life cycle of the blemish - if the blemish is still under the skin, I will apply DDF Sulfur Mask, and sometimes I used this overnight, very very sparingly. Now sulfur has calming properties so it's going to soothe the inflammation and speed up the life cycle of that blemish. And then it has come to, it's come to a head. Now, it's very tempting but do not attack that sucker with your fingers. The better option would be to take a sterilized needle and just pierce it. Let it do its sting. I feel as though I've entered the dark side of YouTube here but just bear with me. At this point, I'll apply a dot of Neosporin and this is an antibacterial balm which goes against with traditional method of treating blemishes, drying them out. But there is extensive research to suggest that moist healing actually results in less scarring. And every time that I've used this on a blemish it's healed really well and I've never scar so I just rolling with that. And that guys is my entire skincare routine. I've been using these products for youngs. As I said earlier, I don't anticipate that it would change. I can't guarantee that it'll work for you obviously but they've been incredible products for me. I've got to go study now, but if you have any comments or questions, please leave them in description box below. 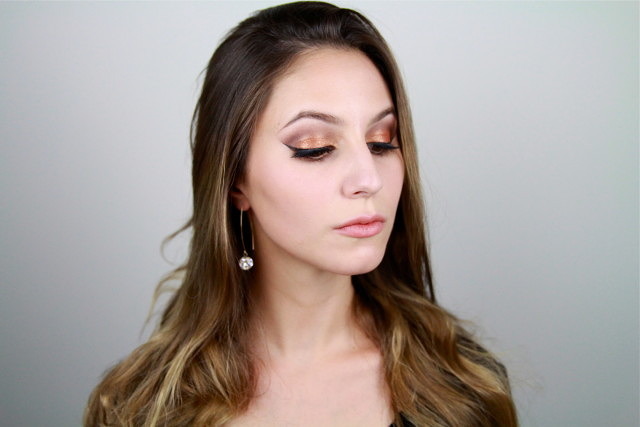 I love talking to you guys and I would be back with the make up tutorial soon. B-bye. Mentioned: Josh Collier MUA (youtube channel here). Salicylic acid 2.0% (w/w), ammonium lauryl sulfate, ammonium xylenesulfonate, citric acid, DMDM hydantoin, fragrance, menthol, PPG-5-Ceteth-20, purified water, simethicone, sodium borate, tetrasodium EDTA. Sulfur (active ingredient), Water, Bentonite, Propylene Glycol, Talc, Kaolin, Gum Arabic, Titanium Dioxide, PVP, Diazolidinyl Urea, Glycerin, Fragrance, Methylparaben, Aloe Barbadensis Leaf Extract, Sodium PCA, Allantoin, Propylparaben, Prunus Amygdalus Dulcis (Sweet Almond) Oil. Do you have true blackheads around the nose and chin? Do they produce a hard ‘plug’? I’m just making the distinction between blackheads and sebaceous filaments. The latter can look like long, thin strings of white stuff if pinched (I know this is disgusting but I’m going somewhere with this!). Blackheads are worth treating but sebaceous filaments are natural and you won’t be able to omit them. 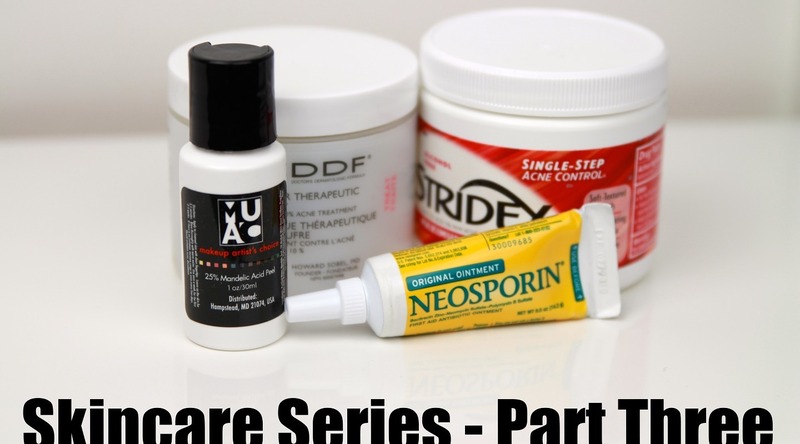 Blackheads can be treated with Mandelic Acid as well as the Stridex Pads. If you decide to give it a go, try the Mandelic for a minute and work your way upwards. They must be sebaceous filaments– sorry, I’m pretty new to the skincare world! Thanks for helping me with the distinction. Even though I won’t be able to get rid of these I think I’ll stick with the peel and see what else it can do for me since physical exfoliation is a little rough on me too. Don’t be sorry, I mentioned it because it’s a really common misconception. Chemical exfoliants will definitely help but don’t overdo it trying to eradicate them entirely! Just love the way you do videos – not like our American cousins eh! Never tried chemical exfoliants outside of my beauticians but the Stridex appeals. I wonder if you can get it in NZ? Not 100% sure but many of us Aussies purchase Stridex off ebay. Very cheap and I’ve never got a bad batch. Hello! I would love to try out the MUAC peel but its super expensive with just the shipping to India. Is there an alternative I can purchase from eBay? Also, does frequent use of peels make your skin paper thin? I just discovered your blog and I absolutely adore it. However, I’m a little bit concerned at your recommendation for using Neopsorin to treat acne as there have been studies that suggest its use (especially prevalent in the US) has created a stronger strain of MRSA. There is no conclusive link, however I think in this case it might be best to err on the side of caution. I read this study (http://wwwnc.cdc.gov/eid/pdfs/10-1365-ahead_of_print.pdf) here by the CDC. Of course, it is definitely your choice whether or not to use Neosporin! 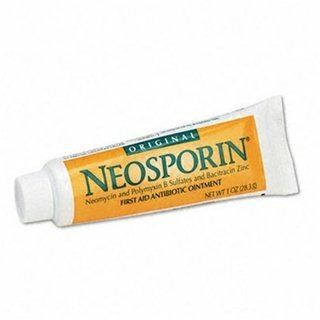 In response to another commenter’s question, I believe that polysporin should have the safe effect as Neosporin and that is more widely available in Australia and countries other than the US.